This volume collects papers from Hugo Sonnenschein's students. It aims to demonstrate his tremendous impact as an advisor. The papers span decades and present some of the most important articles in microeconomic theory. Each paper is accompanied with a preface by the student providing background on the paper and indicating Hugo's influence on its genesis. 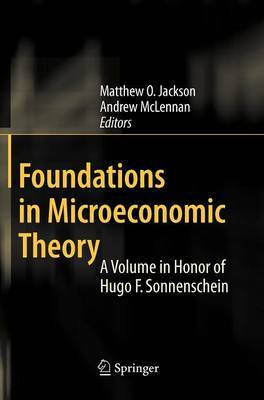 The papers all lie in microeconomic theory, and moreover all make fundamental contributions to the foundations of the theory.